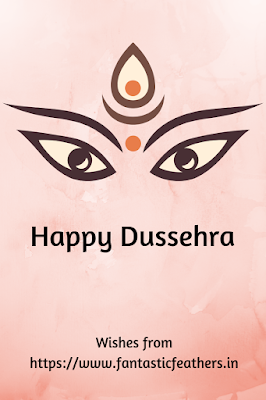 Dussehra festival is celebrated for 9 days and this year it is celebrated from 10th October to 18th October. There are many stories about the significance of Dussehra celebration. One is the victory of good over evil. Goddess Durga fought with a demon Mahishasura for all these 9 days and killed him on Vijaya Dasami. There is also a legend that Rama fought with Ravana and killed him on Vijaya Dasami. Celebration: We celebrate this festival for 9 days by performing puja to Goddess Durga in 9 forms. We offer different prasadams on each day and perform pooja. Many women read Lalitha Sahasra namam and do kumkuma Archana in the evenings. 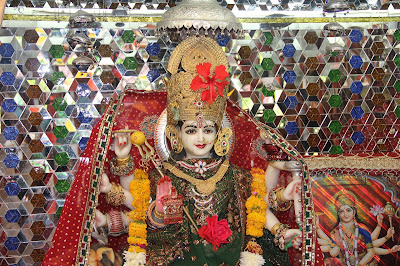 On the 10th day, we worship Sri Rajarajeswari Devi by offering Pulihora (Tamarind Rice) and Garelu (Wada) as naivedyam. Other than the puja, we also do Ayudha puja on 18th October, which means, we perform pooja to machines, instruments, weapons, and vehicles. Pooja is done for books and musical instruments also on that day. Another important celebration is Bommala koluvu. Many idols of different colors and idols of Gods and Goddesses are arranged in a hierarchical way. Hosts arrange small gathering and invite girls and women. During this festival, a few also perform puja to small girls treating them as Goddess Durga and offer them bangles and flowers. So, this is how we celebrate Dussehra in our household. I hope, this Dussehra brings health and happiness to your households.